A $12 M gift from Lloyd Russell will help help Chris Cash, who founded Southern Voice in 1988, and former SoVo editor Laura Douglas-Brown start a new gay publication. JEHT - Justice, Equality, Human dignity, and Tolerance. The Foundation's programs, in Criminal Justice, Juvenile Justice, International Justice, and Fair and Participatory Elections, reflect these interests and values. Fair Food Foundation - Works with historically-excluded urban communities to design a food system that upholds the fundamental right to healthy, fresh and sustainably-grown food. I work in a place populated largely by underpaid women, many of whom are social workers. 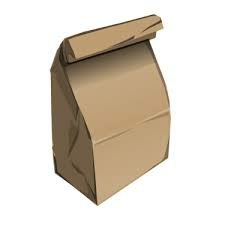 There's always a sizable cohort that brings lunch and munches on salads, but good GOD, the number of brown baggers has multiplied exponentially over the weekend. Today the break room was PACKED with people eating their brown bag lunches, nuking their Lean Cuisines and leftovers. Like overnight we've become a nation of penny pinchers who are battening down the hatches for the coming economic hurricane . One thing's for sure...it smelled great in that break room. Some days I miss the ad biz. Some days not so much. Some days even the non-profit sector goes a little nutty. Tomorrow I am meeting Nobel Prize Winner Professor Elie Wiesel. And blogosphere prize winner Bossy. How's that for celeb-filled day? Wiesel is the keynote speaker at a conference my agency is co-sponsoring. Blog star Bossy is making an Atlanta stop on her Excellent Road Trip. I have written uplifiting remarks for my CEO to say as he presents Wiesel with a "gift." You may be wondering, what does one "get" for Elie Wiesel. So was I, since it was also my job to figure that part out too, but that's another posting. What do I give Bossy? A plug. After the Elie Wiesel gig I will be drinking with Bossy and a bevy of Atlanta blog moms in Decatur. Such is the yin yang life of a non-profit mogul. Saturday morning bright and early, I'm signed up for a bus tour of the proposed Atlanta Beltline, one of the most exciting and creative urban transportation and economic renewal projects being undertaken in America. The three hour tour will take me along the entire 22 mile long path of the Beltline, revealing all the Atlanta neighborhoods this visionary project will connect. The Beltline, for you non-Atlantans, began as a 1999 master's thesis by Georgia Tech graduate student Ryan Gravel. He proposed linking multiple city neighborhoods using the network of abandoned railroad tracks that ring Atlanta. Gravel's vision was that of an "Emerald Necklace" of greenspace -- parks, trails, and light rail -- that would make it possible to walk from leafy Ansley Park to industrial Marietta Street, on the west side of the city. Miraculously, the project came to the attention of city planners, politicians and urban developers who understood its potential, saw exciting opportunites for economic growth and lobbied for its realization. Numerous feasibility studies were done. The project grew in scope to encompass neighborhood preservation, mixed-use development, affordable housing, environmental improvement, and other progressive quality of life goals. Blessed by Mayor Shirley Franklin, endorsed by MARTA (Atlanta's bus/rail transit system) County Commissioners and the City of Atlanta Public Schools, Atlanta is now acquiring the land along the Beltline and has created a variety of public/private partnerships that are shepherding the project. Modern Atlanta -- once called Terminus because of its historic roots as a thriving railroad hub -- became a city based and built on the automobile. It is now a city choking on horrendous traffic, gridlocking itself, overbuilding and expanding ever outward into unsustainable suburbs. My own trip to work, modest by Atlanta standards, takes anywhere from 25 to 55 minutes, depending on traffic. I have never lived in a place with so few walking options. For this reason alone the Beltline project excites me with its vision of linked, walkable neighborhoods, bike paths and density. I want to live my "third act" in a place where I can walk and talk to people. Happily, my exile from New York and unexpected landing in Atlanta has reconnected me with my inner Jane Jacobs, the woman whose visionary 1961 book, The Death and Life of Great American Cities, was the proof text for an earlier generation of new urbanists. Living in Atlanta reminds me that at my very core I'm an Urban Villager. (Funny, but hardly anyone who knows me in Atlanta knows that Urban Studies was my academic field in college.) My intown Atlanta neighborhood reminds me daily that I am happiest in community, in a place where somebody knows my name, where my coming and going is noticed by neighbors, where conversations happen among strangers, where sidewalks connect lives. So I'm rooting for the Beltline. Yet it has not been without controversy. The Beltline generates a plenty of heat in its core neighborhoods, both the prosperous ones where people like things just as they are, and the the blighted ones where poor folks have seen renewal proposals come and go, and nearly every promise broken. Can the Beltline deliver? I hope so. I will be watching closely to see how lives will be affected by the project, as well as how the future shape and character of the Atlanta is expressed in it. More on this from me in months to come.